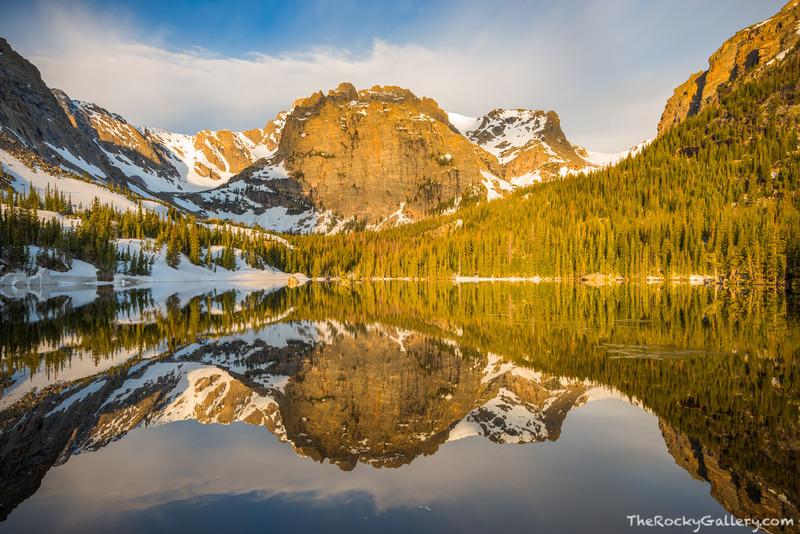 Nestled in the mouth of Loch Vale, The Loch is one of the most beautiful locations in all of Rocky Mountain National Park. Photographing The Loch is an awe inspiring activity but often requires multiple trips to capture the true nature of this iconic location. Like many of RMNP's higher elevation lakes, catching a calm morning with the surface of the large lake calm for a reflection is tricky. If one is lucky enough to be at The Loch for sunrise on a calm morning with clouds over the Cathederal Wall and Taylor Peak that you are in for a real treat. Photo © copyright by Thomas Mangan.